Focusing primarily on residential small engine services, MVS Ottawa is Ottawa’s first choice for all your home or small business small engine equipment needs. Snowblowers, lawn mowers, lawn tractors and much more. What could be more convenient than having a certified small engine technician arrive at your door? No costly pick ups or drop offs. Call or text MVS Ottawa today @ 613.854.4154 to book your mobile small engine service. Or simply click the button below to conveniently fill out our online service request form. 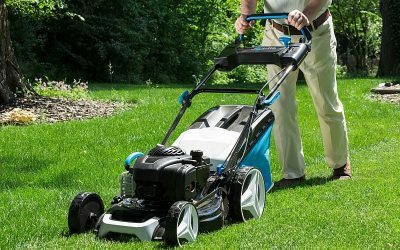 Focusing primarily on residential Push Lawn Mower Repairs, Tune Ups, Maintenance and Seasonal Storage, MVS Ottawa provides mobile service to your home or small business. 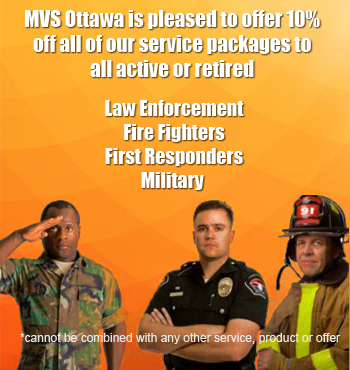 MVS Ottawa, Ottawa’s Premier Mobile Small Engine Service Provider. Focusing primarily on residential Snowblower Repairs, Tune Ups, Maintenance and Seasonal Storage, MVS Ottawa provides mobile service to your home or small business. MVS Ottawa, Ottawa’s Premier Mobile Small Engine Service Provider. 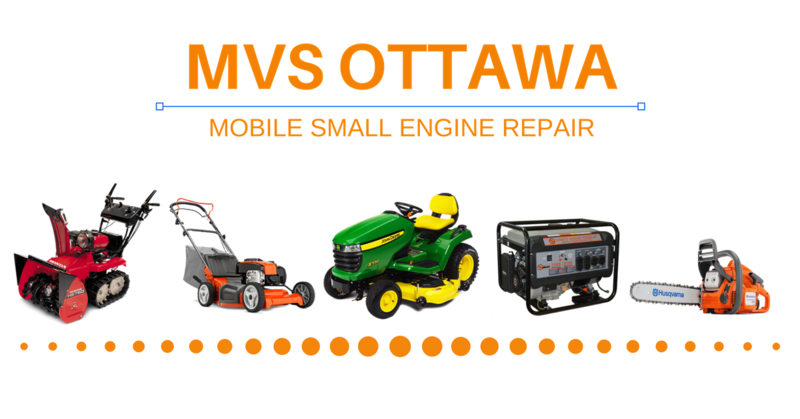 Focusing primarily on residential Lawn Tractor Repairs, Tune Ups, Maintenance and Seasonal Storage, MVS Ottawa provides mobile service to your home or small business. MVS Ottawa, Ottawa’s Premier Mobile Small Engine Service Provider. MVS Ottawa is proud to offer our Mobile Snowblower and Lawnmower Maintenance Service. No need for pick up or drop off, we come to you. Our Certified Small Engine Technicians are proficient with all small engine makes and models. With over 20 years experience, your equipment couldn’t be in better hands. Our service vehicles are equipped with a large inventory of the most common parts, all year round. Should a part not be readily available, they will be ordered the same business day and MVS Ottawa will return once the part has arrived to complete the service, at no additional cost to the customer. 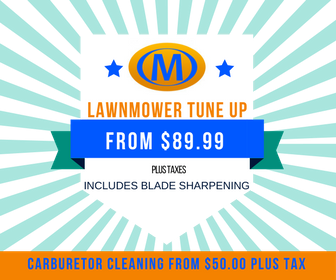 Looking to tune up your lawn mower or repair your snowblower? 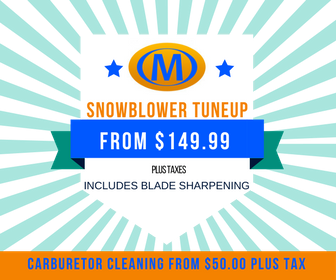 Mobile Vehicle Service Ottawa offers small engine repairs in Ottawa and will ensure that your lawn mower or snow blower are running in peak condition with small engine tune ups and maintenance. Give us a call today to book your mobile small engine repair or tune up at 613-854-4154. 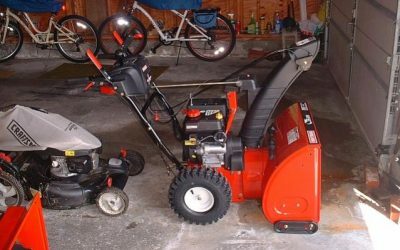 We have incredible reviews for our snowblower and lawnmower repair services in Ottawa. With our mobile small engine services, you can count on us to help you remove snow with a perfectly tuned snowblower, or keep your lawn looking well groomed with a expertly maintained lawn mower. 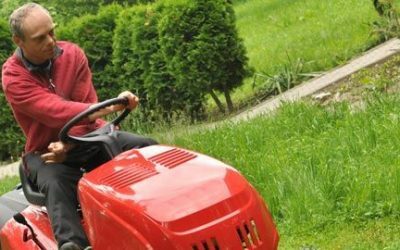 Winter is also a great time to start preparing for summer maintenance by repairing your lawn mower equipment. Why choose MVS Ottawa to service your snowblower, lawnmower or lawn tractor? Does Your Riding Mower Need a Small Engine Tune-up?